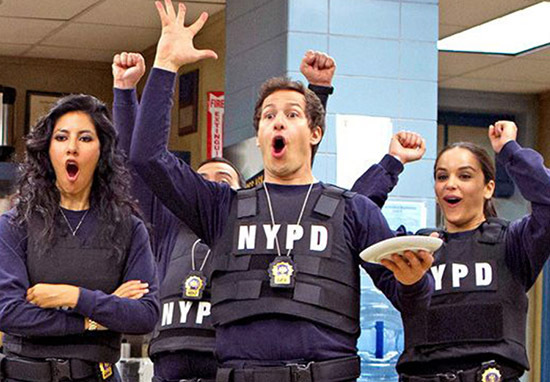 Before we begin, can I get a collective ‘Nine-Nine!’ for all the fans out there who managed to get this incredible show back out of cancellation! With that out of the way, we can officially talk about Brooklyn Nine-Nine and how amazing the show really is, not only as a vehicle for comedy, but for positivity and diversity as well. Is there really a bad episode of Brooklyn Nine-Nine? I’m willing to go on record as saying emphatically, no. But what is the best episode? Which one stands above the shoulders of the rest as half an hour of pure, unadulterated joy? Well, according to Ranker, it’s HalloVeen, the Halloween Heist episode from Season 5, which is hard to disagree with to be honest. Coming in second is Halloween II, followed by Halloween III, before the original Halloween episode filling in at number four. It’s clear by these rankings the guys are on to a winner with this format, and let’s just be glad they’re back around for at least one more season. This hit Golden Globe-winning series, which was said to be ending following it’s fifth season, is going to be saved thanks to the American television network, NBC. This kind of makes perfect sense really, considering creator Michael Schur has a long-running relationship with the network thanks to other hit comedies like The Office and The Good Place. Fans of the show all around the world were heartbroken late last week when Fox announced they’d be dropping the cop comedy.